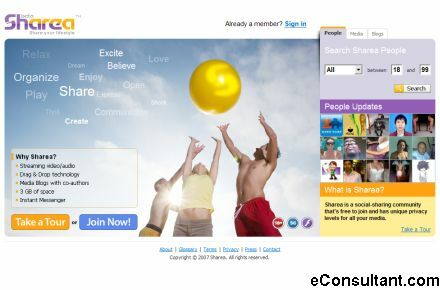 Description : Sharea is an online community. It’s a place to meet new people as friends, colleagues, and who knows – perhaps even lovers; share your favorite audio, images and videos online; send instant messages, record media Blogs and create a simple way to stay in touch with friends who are far away. You can do all this, while retaining complete control of your privacy, from one easy to use, great fun place.